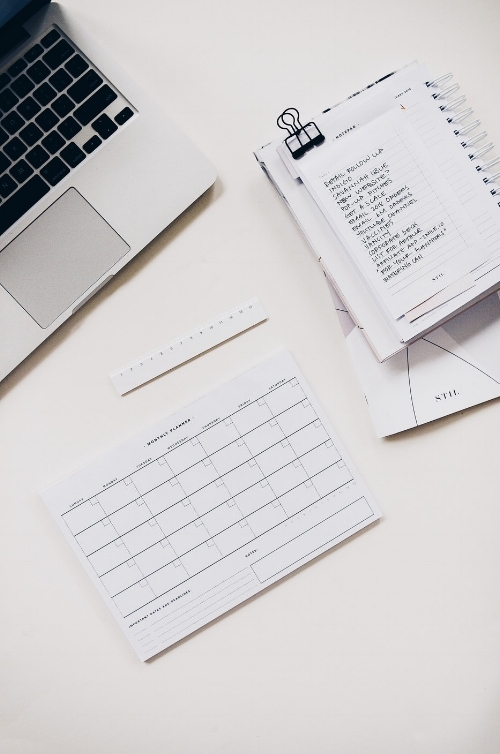 Whether you want to find a new job, set up your own business venture while working full time, or even something more personal like saving money or losing weight, it can be hard to find the time to organise and set daily goals to get you closer to the end result. Creating new daily habits that move you towards that goal can really help. It’s believed it can take anything from 20 to 66 days to bed down a new habit1, but the quicker you get started and the more determined you are to succeed, the better! 1. Start with Why: You can only build in those new daily habits if they mean something to you. Keeping the end goal in sight as a reminder on your fridge, in your car, or on your bedroom wall will serve as a daily reminder.A handwritten reminder is best - it doesn’t need to be an essay, just one sentence like ‘I’m developing X habit to get a promotion/start my own business/lose weight/save for my trip to New York’. Seeing this sentence everyday will help you stay focused when you feel you can’t stick to the habit. 2. Manage Your Time: Spend one week tracking what you do every day by the hour, when you get up, what you do before work, what you do after work, etc. Where are the pockets of time that you can use to make the changes in your life that are needed to get to your goal? Could some of those evenings sitting watching telly be put to better use like learning a new skill, finding a new job, developing business ideas, going for a run in training for a 10km race? 3. Habit Stack: Many studies and books show that it’s easier to create new habits on top of existing ones, and each morning and evening we tend to have the same routines and habits when it comes to getting up and going to sleep, especially during the working week. Look at your current daily habits, and make a list of the new habits you would like to incorporate into your routine; for example, 10 pushups before your shower, running home from work twice a week instead of your normal walk, getting up 20 minutes half an hour earlier to work on something that excites you like a potential business idea, researching possible new roles, etc. These new daily habits can help you reach your business, career and personal goals faster. Be careful to add only one or two new habits at a time, as overwhelm and time constraints could be detrimental to your habit stacking! 4. Develop ‘bookend’ routines: Bookend routines happen in the morning and evening to help you get a better structure on your day, Sorting out the work clothes, lunches, or breakfast the night before will make your morning run more smoothly, and perhaps give you time to get an extra new habit built into the morning routine, like 15 minutes of exercise, 30 minutes of reading to work on your personal development or business ideas, or researching a new role. These bookend routines can help you develop good habits that will make you more productive at the beginning and end of the day. 5. The Sunday Strategy Session: A good way to get the upcoming week off to a productive start is to have a brainstorming session on Sunday evening of all the tasks and goals you want to achieve, and also to look back at the previous week to see how you are progressing. A review of the previous week to see what worked and what didn’t will also allow you to keep track of how your goals are progressing, and look at ways to improve your productivity. For the upcoming week, allocate 2-3 tasks on your brainstorming list each day Monday to Friday or Monday to Sunday, depending on how productive you think you can be! Each evening before you go to sleep, remind yourself of the three tasks for the following day that will get you closer to your goal – a 5km run, contacting your friend to ask for help on your business website, enrolling on a new course, revising your CV. Staying focused in this way will help you reach your weekly, monthly and yearly goals quicker and a weekly review will ensure you stay on track. Daily consistency with your goals, and with developing those new productive habits will help you progress faster. Keep at it, and the results will speak for themselves! If you'd like some help with this, I offer a 30 minute Profit Plan Strategy call where we look at where you are, where you want to be, and how to get you there in your fledgling business. Contact me in the comments below or at hello@lynseyhanratty.com for more details!